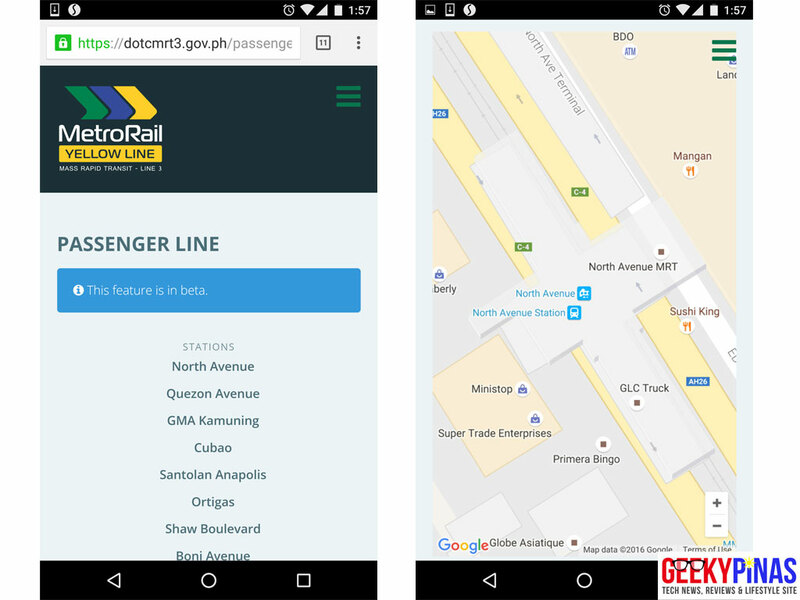 Here is a great news for every commuters in EDSA, the Department of Transportation and Communications (DOTC) has released the beta website of the "MRT3 Passenger Queue Monitoring System" which will bring convenience and allows anyone to preview the status of the passenger queues inside every MRT3 stations. The said website system was posted last July 24 in DOTC's website and launched last July 25, 2016. 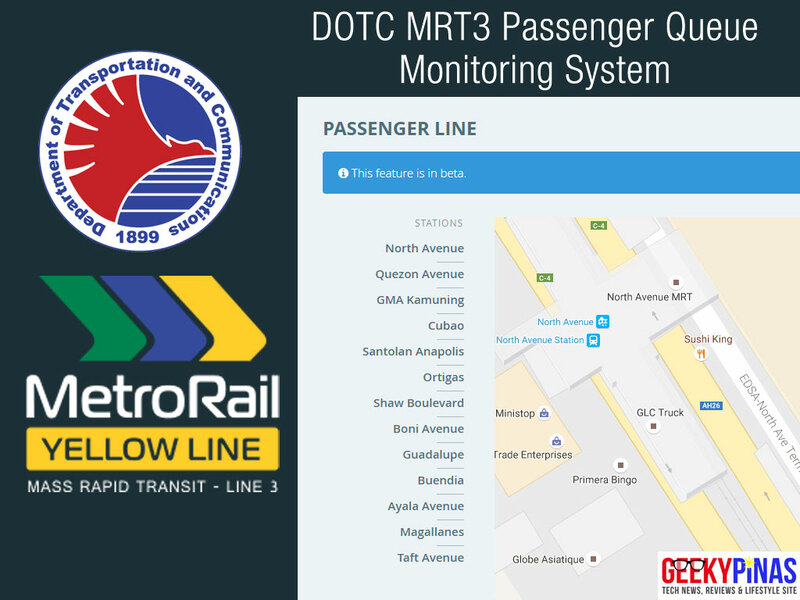 The MRT3 Passenger Queue Monitoring System is very easy to use and understand as it's powered by Google Maps with a red line indicating on how long a queue is inside a station. 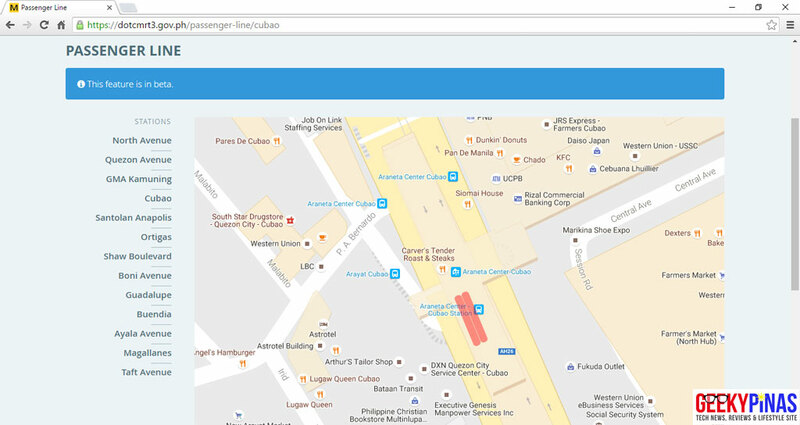 The MRT3 stations are also listed in the side if your using a PC or above is using a mobile device. Now you can decide if you'll proceed in riding the train or not or just wait for a later time for faster commutes. The said website system is still at the beta stage so there may still be some problems like how accurate is the displayed queue line. We might start to see more features soon. You can start checking out the line queue by going in their website here. You can also follow their official @dotcmrt3 Twitter account just incase it is a better convenience for you. The tweets contain image/s of the passenger queues in Google Maps, date, time and a link back to their system.